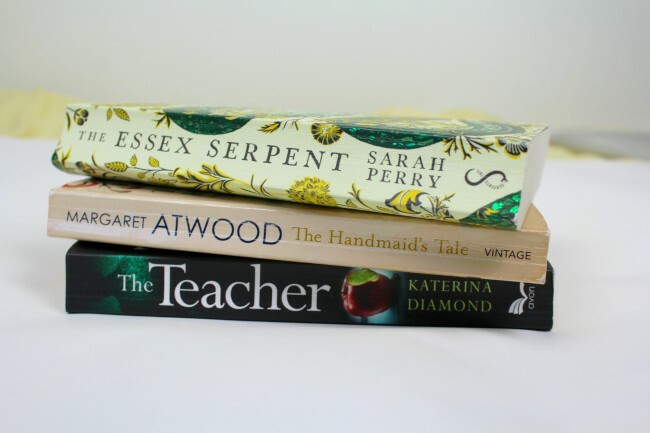 I'm finally starting to catch up on my blog schedule, so this isn't halfway through the month like my last few 'end of the month' book hauls have been. It feels hella strange, but I'm here and ready to chat books. I've forced myself way out of my comfort zone this month: I mean, there's not even any YA fiction on here. A whole load of these are books that I've been meaning to read for years, so I was beyond happy when they cropped up in my local British Heart Foundation charity book shop. 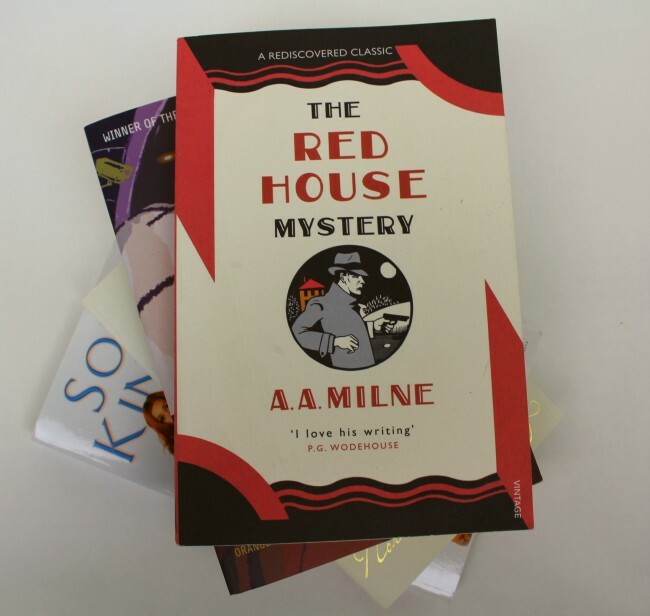 The Red-House Mystery by A. A. Milne. I had NO idea that the author of Winnie-the-Pooh wrote a detective novel. How epic is that?! It's a pretty short book, but I'm looking forward to seeing how Milne wrote with adults as his intended audience. 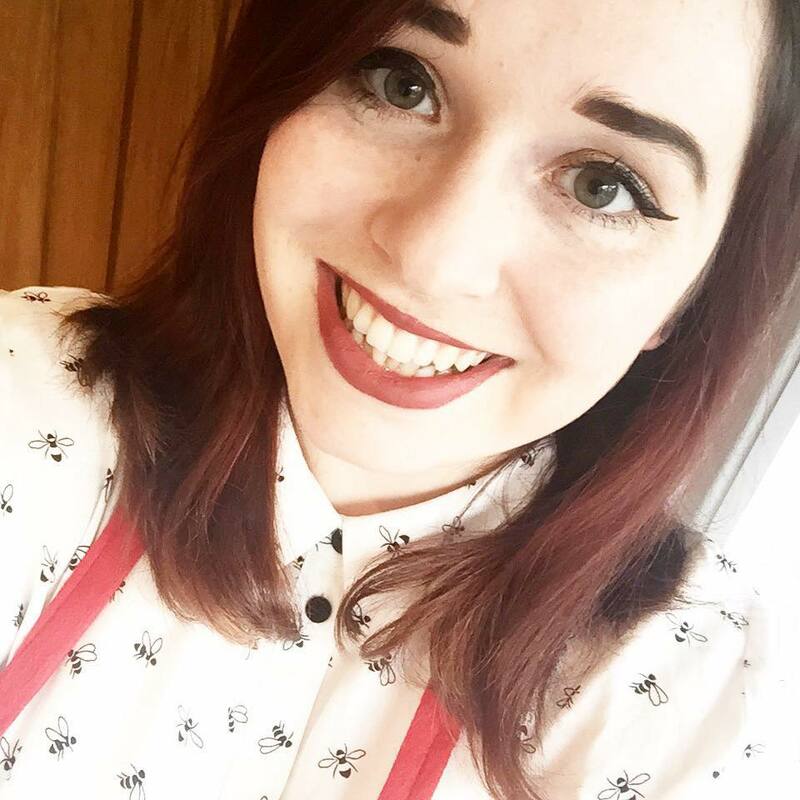 What Was Lost by Catherine O'Flynn. This debut novel is a mystery one. It's all about a little girl who goes missing in a shopping centre, and how empty consumerism is. Flash forward twenty years, and a security guard in the shopping centre is convinced he sees a little girl wandering around at night ... This sounds a little creepy, but it's the social commentary that I'm really intrigued by. Northanger Abbey by Jane Austen. I'm not an Austen fan. There, I said it. I am however a massive fan of classic Gothic texts. In Northanger Abbey, Austen subverts her normal narrative style to expose the darker side of life. 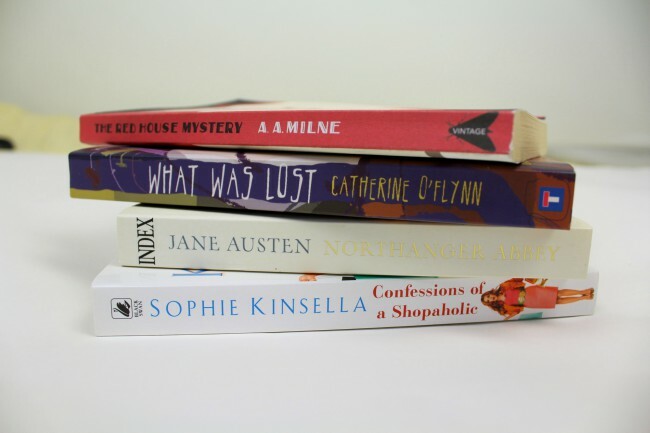 Confessions of a Shopaholic by Sophie Kinsella. This is going to be such a light-hearted read, which we definitely all need every so often. The film is one of my sister's favourite films in the world, and I really wanted to give the book a go to see if I enjoy Kinsella's writing enough to go after another of her books. 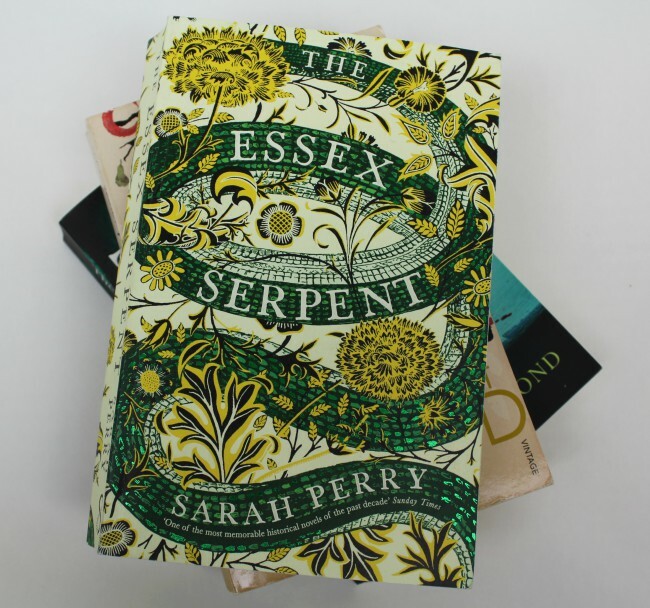 The Essex Serpent by Sarah Perry is a book that everyone seemed to be talking about last year, so I'm a little late to the party on this one. It's a modern Gothic text set in the Victorian era. It has everything you want in a Gothic book in it: suspicious characters, the supernatural, a questioning of what really *is* good or bad and a widow. The Handmaid's Tale by Margaret Atwood. I held off of watching the recent series of this on TV because I wanted to read the book first, but I've heard incredible things about both. It's been a long time since I've read a dystopian novel, but one with a feminist twist seems like the perfect book to reintroduce me to the genre. The Teacher by Katerina Diamond. I picked up The Secret by the same author a few months ago and read it in October. It was everything a crime thriller should be: gripping, gruesome and with a hint of mistrust at the UK's police force. The Teacher sounds as though it's going to be just as shocking and disturbing, and forms an earlier part of the series that both books are in. 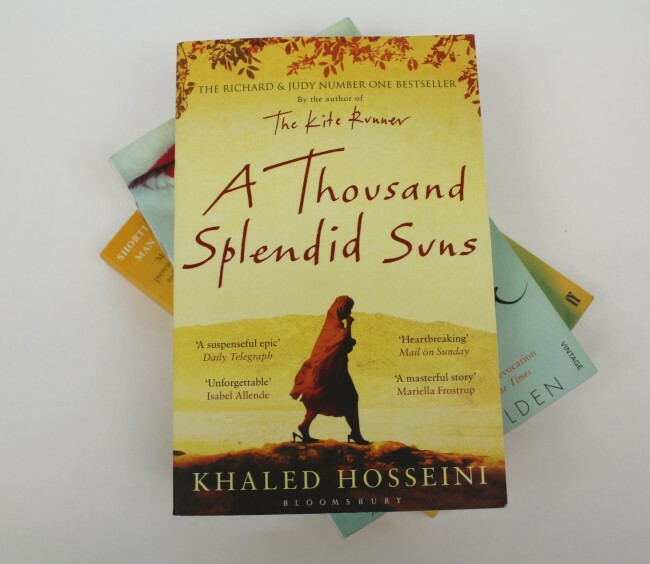 A Thousand Splendid Suns by Khaled Hosseini. 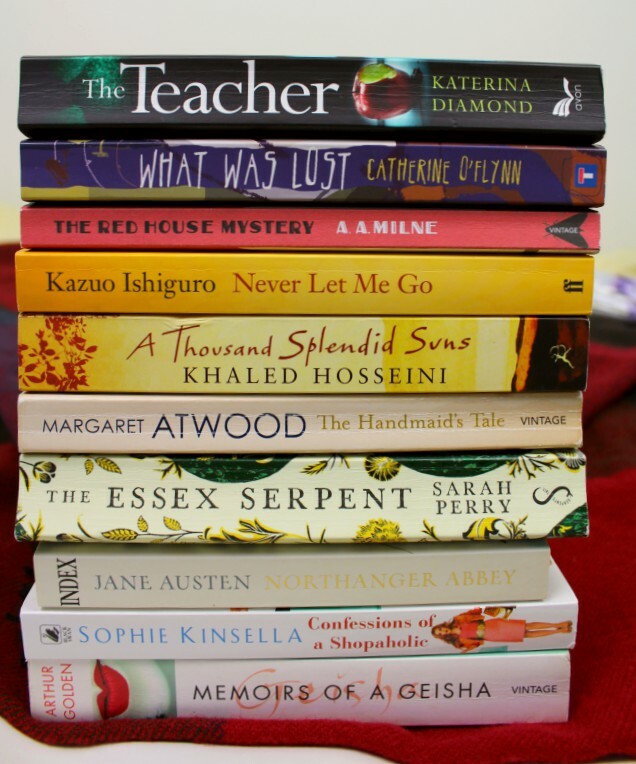 A few months ago I also picked up The Kite Runner. 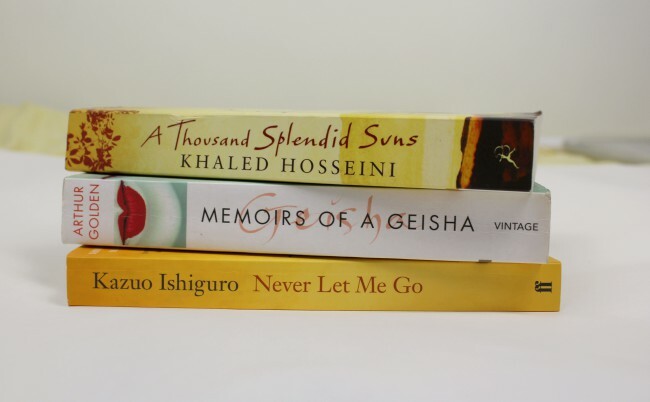 At the time it was a close call between the two books, so this month I grabbed A Thousand Splendid Suns off the shelf too. It focuses on two women from different generations: Mariam and Laila. Mariam comes from an unfavourable family and is forced into a marriage she doesn't want to commit to. Things only get worse when Mariam's husband makes a marriage proposal to Laila ... I haven't read many (if any) books by an Afghan-born author, so I'm excited to expand my reading horizons with this and The Kite Runner. Memoirs of a Geisha by Arthur Golden. This is a book that I've heard so much about (probably because it was made into a film in 2005). Golden explores the world of a geisha working in Kyoto before, during and after World War II. I'll be the first to admit that I don't know masses about this aspect of Japanese culture, so it'll be interesting to discover more about it, albeit through the lens of an American author. Never Let Me Go by Kazuo Ishiguro. Just after I bought this, I found out that my work's book club is reading another of Ishiguro's novels, The Buried Giant, so I actually picked that up too. This is a dystopian novel in which the children at a boarding school are there to develop in a healthy way so that their organs can be donated. It sounds hella creepy, but also super interesting. I am currently reading "The Handmaid's Tale" - don't know why I cannot get in-to-it. "Memoirs of a Geisha" I LOVED it! It was eye-opening what those girls had to go through. Hope you will enjoy the book as I did. I'm actually kind of afraid to read the handmaid's tale, and I chose not to watch the series for the same reason. I know the gist of the story and I'm just like "this could probably actually happen"
It is quite concerning isn't it?! I'm really excited to see what the Milne book is like too! I rode A Thousand Splendid Suns. That book is amazing. I love Hosseini's books. I haven't read any of his yet, but I own this and the Kite Runner now so I'm excited to see if they live up to the hype! Confessions of a Shopaholic is hilarious, definitely a good/light read! I've been dying to read The Handmaid's Tale because I loved the show, and I usually end up liking the novels even more! The Teacher is another one I want to read. Now that it's getting colder outside, it's easier to snuggle up with a book for hours and hours! I've heard it's really funny, and I think we could all do with a book that makes us chuckle! i reallyyyy need to start reading, i used to read all the time. i’m going to write some of these down on my book wish list! I haven't read it yet, but I've heard lots of amazing things about it!